Comments Off on How Much Will My Website Cost? That’s tends to be the first question I get asked by a client. I’ve asked it when getting work done myself. And I bet you have too. To be fair, it is a good question to ask. After all as a small business owner you need to know how much things will cost. However, it is a bit like phoning a house builder and saying “I want you to build me a new house. How much will it cost?” After a pause, they will then ask lots of questions such as, how many bedrooms and bathrooms do you want, what size should the rooms be, if you have some land to build the house on and so on. Only once they have all the information required will they be able to provide you with a price. 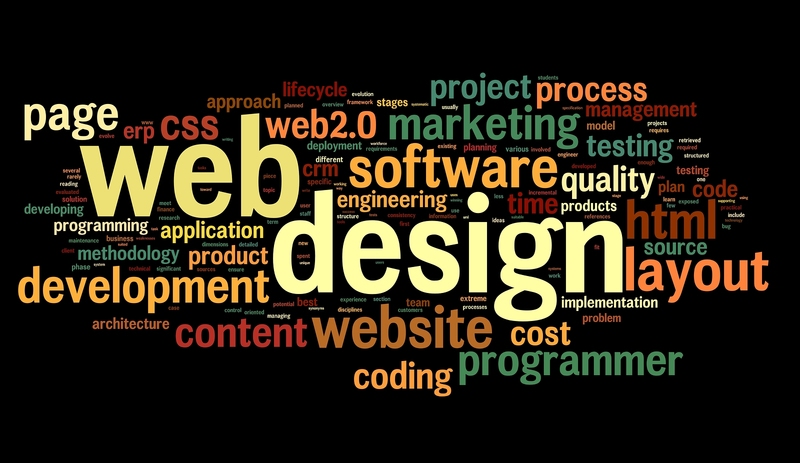 Having a website built is very similar in that the price depends on a lot of different factors. So where does the cost of building a website come from? I am sure you have seen the adverts on TV that promise a website that you build yourself for a small monthly fee. There are plenty of companies that offer to drag-and-drop your way to a new online presence in a few hours and call it a website. But that isn’t the type of website that a professional web designer will build for you. They will build a website that reflects your business, your goals, your brand. I’m talking about a website that adds value and is a strong tool in your marketing arsenal. One that is optimized for search. One that works across browsers and operating systems. In short a website that will make you money, not cost it. So what is involved in building a real website? Whether you pen a few paragraphs or hire someone to do it, it’s got to be written, organized, keyword optimized, human being optimized, spell-checked and proofread. Whether they’re original or stock, someone has to find, organize, retouch and properly size and output them for web. There’s high end custom and there’s minimal, but someone has to consider colors, fonts, graphics and how they all work with your brand. Someone has to think about pages, navigation and usability, and the best way to get users from here to there. Headers, footers, sidebars, call-outs, pull quotes, opt-in boxes, social icons. These things don’t magically place themselves on the page, nor should they be stuck somewhere haphazardly. Beyond keywords, there are considerations for code quality, site speed, meta data. With half a dozen common browsers and twice as many versions, multiple operating systems and platforms, not to mention mobile, someone has to make sure your site works. Someone has to install your site on a hosting server, set up the DNS, get your analytics, Webmaster tools and sitemaps in order and make sure everything is working in real life, including all those opt-ins and contact forms. If this sounds like a setup for “…and that’s why a website has to be expensive!” it’s not. It’s just the practical reality of building a site. There are things to do and things to consider. These are just some of those things and they all go into determining a cost. Now you know what’s involved, let’s talk pricing! Pricing is not a magic, secret recipe. It’s just the cost of doing business, plus the value of expertise, plus the time needed to complete a project in a particular set of circumstances with a particular set of requirements. This is most likely your entry-level range. In this price range you can expect a decent professional to put together a site for you that includes common functionality such as a content or image slider, contact form and opt-ins, photo gallery, blog and a branded design. While this range will afford you a site that goes beyond the generic template-look with features like a designed header or background and consideration for colors, fonts and layout, it’s not going to buy you a completely custom design. Often, sites in this price range are based on a WordPress theme or HTML template. Even at an entry level you should expect basic optimization. That means your site is built to current code standards and optimized for speed, functionality and fundamental search requirements. While your content may not be optimized, the rest of your site – from basic meta data to sitemaps and other essentials – should be. What you will not get at this level is copywriting or any content creation. You should come prepared with whatever content you want on your site and that includes copy, photos, videos or whatever else you need, plus your logo and branding requirements. In this range you can add a fully customized design. This is where you get to sit down with an actual designer and talk specifics when it comes to branding, style and layout. Custom sites tends to be more time consuming to plan and build, so if you have specialized site requirements whether for design or functionality, you can expect to hit the higher end of this range. You can add basic ecommerce in this category but don’t expect too many bells and whistles. The bottom line: this is where you’ll be if you want to move past a basic design and if you’ve got fairly simple ecommerce requirements and don’t need anything customized like inventory management. In this range you can get quite a robust website with accommodation for more custom requirements when it comes to programming, photo galleries and portfolios, forms, or other functionality. You should also be able to get some keyword optimization here and depending on the size of your site, you may also be able to sneak in some copywriting. As with the last price range, you should come prepared with your branding materials. The bottom line: The bottom line: think of this in similar terms to the previous category but with “more stuff” and a couple of added bells and whistles; perhaps multiple photo galleries, quite a few product pages, or more complex user forms. It’s also where you want to be if you need someone with a copywriter’s eye to kick your content up a bit. In this price range you can sit back and relax because you can afford to work with a copywriter who will take care of content creation and full-on optimization for you. It also buys you sit-down time with a designer, not only for your website, but for logo and branding development plus mobile considerations, too, although it won’t necessarily afford you anything specialized like custom photography or video. The bottom line: this is sort of the all-inclusive vacation of websites. It’s where you want to be if you want to take more of a “hands-off” approach to your website and let the professionals deal with everything from the creative to the content to the optimization and construction, with some bonus collateral materials like business card and letterhead design. In this category you can reach beyond “website” into “application”. This is where programming and functionality become so custom that your site is built purely to satisfy your business needs. Very specialized content management systems, inventory management, integration with third-party APIs and other special functionality come into play here. You can also get a pretty robust ecommerce site with inventory and specialized content management that caters to the nuances of your product line and pricing scenarios. Just remember, the more requirements and the more little details and functionality you add to your project, the higher you go on the price scale. You’ll get a fully customized design in this category, including mobile and, if you need, branding. However, copywriting at this level becomes more complex as you are likely dealing with product descriptions or other unique types of content so I haven’t included that here. The bottom line: if you’re a retailer, distributor, manufacturer or other corporate entity with specialized data management or ecommerce needs, this is the place to be. In this range, your developer will create a project specification that details your website needs and then build around them. That little “+” is enough to mean “whatever you want, sir”. If you’re in this price range you probably aren’t too concerned with budget anymore and there isn’t really a point to discussing limitations. The bottom line: if you’re a corporate entity with serious internal and external requirements, or maybe a startup with funding and an experimental idea, you can reach for the stars. So now that I’ve given you some pretty broad ranges and a lot of variables to think about, how do you take that and translate it into something that makes you feel confident signing on the dotted line and starting your project? For starters, if you’re comparing costs between developers, make sure it’s apples to apples – you may not be able to do it exactly, after all there are a bunch of subjective factors involved as we’ve discussed – but you should know what you’re getting in terms of feature set and functionality. Then take into consideration the experience and portfolio of the individual or company you’re looking at hiring, the attention you can expect to receive and the general rapport between you and a potential developer. Even if the cost is perfect and everything else seems right on paper, you may want to think twice about hiring someone if you don’t feel that somewhat ethereal sense of connection and comfort. Once your website is built, you’re barely part of the way there! You need an “and then what” plan for making sure your site is hosted securely and your data backed up properly. You need a maintenance plan, whether that’s you on a WordPress CMS or your developer making changes for you periodically. You need to stay on top of errors and alerts in your Webmaster tools and you need to get out there and market your website, track its progress via analytics and keep making changes as you learn what your visitors want and need. That may be the job of your developer, your marketing company or simply you, but it’s certainly something to think about. At the end of the day, I want you to approach your next web project with a bit more information than you had before so you can read the bottom line on your next proposal and feel confident that you’re being neither stupid nor swindled. With these guidelines, I hope you now have a place to start.